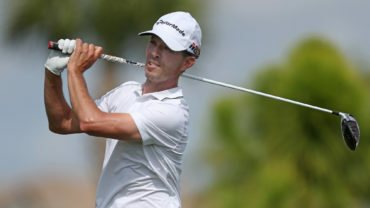 ATLANTIC BEACH, Fla. – Lucas Glover entered the Web.com Tour Finals with the likely safety net of a PGA TOUR medical extension but still in search of a victory and a guaranteed card for the 2018-19 season. The Greenville, South Carolina, native posted back-to-back rounds of 64 at the Web.com Tour Championship to reach 14-under par at host Atlantic Beach Country Club, good for a one-shot lead heading into Saturday’s third round of the Web.com Tour’s season-ending event. Glover played brilliant golf over the opening 36 holes in Atlantic Beach, recording 14 birdies against zero bogeys to finish the halfway point at 14-under par. After starting Friday’s second round in the afternoon wave, Glover parred his opening four holes before notching birdies on 14, 17 and 18 to turn in 3-under 33. Birdies on Nos. 1, 4, 6 and 7 vaulted him into the lead at 14-under par before he closed with pars on Nos. 8 and 9 to round out a closing 31 and a second-round 64. Glover has accrued 382 starts on the PGA TOUR, collecting wins at the 2005 Children’s Miracle Network Classic, 2009 U.S. Open and 2011 Wells Fargo Championship. The win in Charlotte, where he defeated 2017 Web.com Tour Championship winner and former Clemson teammate Jonathan Byrd, came 7 years, 4 months and 13 days ago. In June, Glover had arthroscopic knee surgery to repair two meniscus tears that had bothered him for the last three to four years. Under a PGA TOUR medical, he was granted eight starts in the 2018-19 season to accrue 53.151 FedExCup points to retain his full membership status. “Yeah, I mean, like I’ve got a lot to fall back on regardless of this week, but any time I tee it up, I want to play well. Tomorrow won’t be any different, Sunday won’t be any different,” said Glover when asked if the medical allowed for less pressure this week. 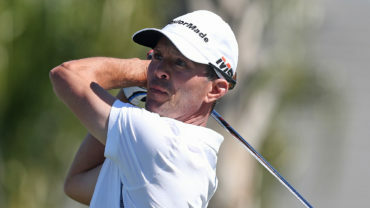 This year marks Glover’s second time in the Web.com Tour Finals. In 2015, he posted top-25 finishes in all four events (including a T12 in the Web.com Tour Championship) to finish 19th on the Finals-only money list to secure his card for the 2015-16 season. Through the first three events of the 2018 Finals, he sits at No. 46 on the Finals-only money list with his lone top-25 being a T17 effort at the Nationwide Children’s Hospital Championship. With $44,000 as the safe benchmark for a PGA TOUR card, Glover needs to finish solo-10th or better to secure a return to golf’s biggest stage. “It’s good. 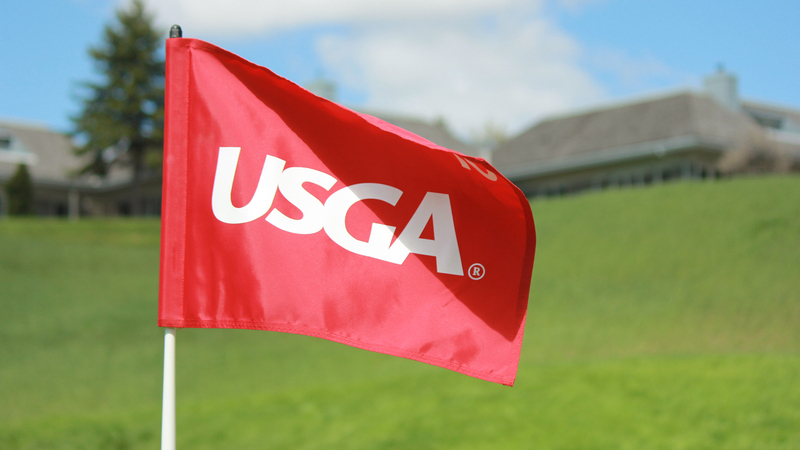 It’s 36 holes, we’ve got 36 more. Nobody’s going to all of a sudden stop making a bunch of birdies, so I’ve got to do the same thing,” he said. Canadian Ben Silverman shot a 3-under-par 68 to sit three shots back of the leader in a two-way tie for 4th place. 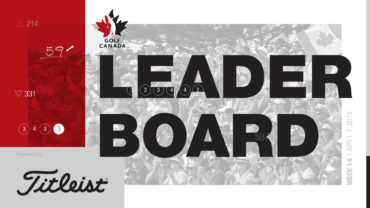 Fellow countryman Adam Svensson of Surrey, B.C., holds a share of 11th at 9 under par – the Team Canada graduate has already earned his PGA TOUR card for 2019 via Web.com Tour money list. Denny McCarthy, who graduated from the Web.com Tour in 2017, is one shot behind Glover at 13-under 129. The former University of Virginia golfer opened his week with a 7-under 64 before recording seven birdies on Friday en route to a 6-under 65. McCarthy finished the PGA TOUR season with conditional status for 2018-19 following a rookie campaign which left him at No. 149 in the FedExCup. The 25-year-old posted four top-25 finishes over the last year, including a season-best fourth-place effort at the Corales Puntacana Resort & Club Championship. 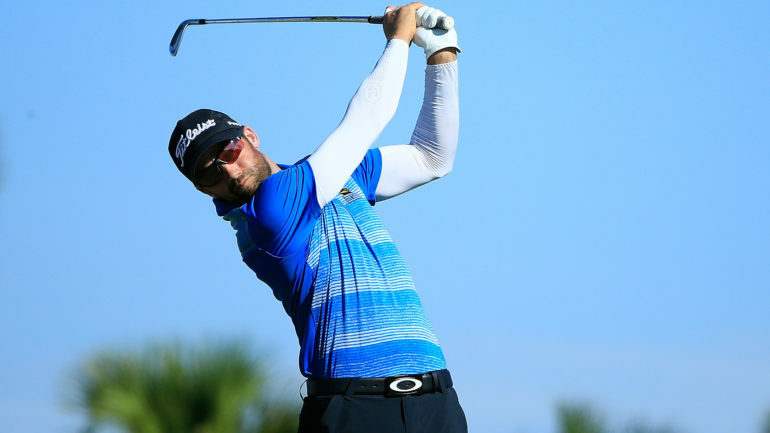 In the Web.com Tour Finals, McCarthy recorded top-10 finishes in his first two starts to secure status for next year’s PGA TOUR season, entering the week in Northeast Florida at No. 13 in the Finals-only money list. With $75,792 in earnings, he is still within striking distance of wining the Finals money list, which would provide a fully-exempt card for the 2018-19 season as well as an exemption into THE PLAYERS. Longtime PGA TOUR member Cameron Tringale is in solo-third place at 12-under 130 following rounds of 63-67. Tringale is making just the 13th Web.com Tour start of his career this week, as the former Georgia Tech standout has spent most of his career on the PGA TOUR. The 31-year-old has made at least 22 starts per season on TOUR since 2010, recording 50 top-25 finishes in 243 starts, including runner-up efforts at the 2014 NORTHERN TRUST, 2015 Zurich Classic of New Orleans and Shriners Hospitals for Children Open. Over the last two years, Tringale has found himself in the Web.com Tour Finals at season’s end following 133rd– and 195th-place finishes in the FedExCup in 2017 and 2018, respectively. Last year, Tringale entered Web.com Tour Championship week at No. 63 on the Finals money list but posted 17-under 267 in Atlantic Beach for a T5 effort which vaulted him to No. 24 and back on the PGA TOUR. “Yeah, I was hoping last year was my last time here, but I do have a comfort at this golf course and I’m excited to keep pressing,” he said after Friday’s round.